Established in 1952 in Naples (where its headquarters are still located), Mario Valentino is a leading brand in the leather sector and a legendary manufacturer of shoes, accessories and clothing. Its history dates back to the early 1900s, when Mario's father Vincenzo, a highly professional artisan, made his first shoes under the Valentino brand, winning the praise of local aristocrats and international celebrities. Vincenzo's son Mario learned the secret of creating elegant, customized shoes at his small shop in the heart of Naples. In the early 1970s, following successes at fashion shows in Rome and in the US, Mario's business flourished and he soon expanded into pr t- -porter, where artisanal tanning skills meet the rules of haute couture and where leather takes on unexpected forms. 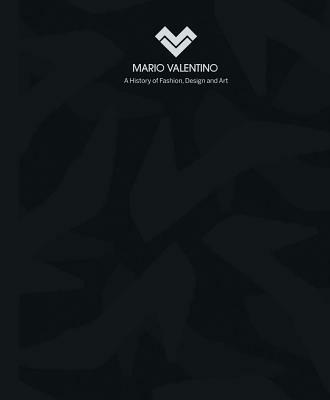 From the late 1960s through the 1980s, top models like Verushka and Ashley Richardson contributed to the brand's success, while photographers like Robert Mapplethorpe, Richard Avedon, Mimmo Jodice, Helmut Newton and many others helped define the designs of Mario Valentino as a true art form. Drawing on archival documents, this publication recreates the extraordinary adventure of Valentino, recognizing the debt of this "enlightened Neapolitan" to his native land and outlining that "yet unwritten part" he played in the fame of "Made in Italy" businesses.